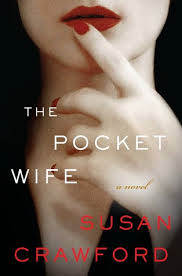 My first post-Thanksgiving read this year was debut author Susan Crawford’s new psychological thriller, The Pocket Wife. As one of the first bloggers to receive an advance reader’s edition, I’m honored to share some impressions of this hard-to-put-down thriller. 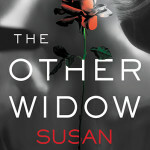 Susan, a fellow Atlanta Writers Club member who I interviewed on The Writing Well after news broke of her two-book deal contract with HarperCollins, has weaved a compelling tale that explores the darker side of marriage, fidelity, jealousy and mental illness. The story opens with Dana Catrell, a wife and mother living in suburban New Jersey, who wakes up hung over with a fuzzy memory of the previous day’s events, only to learn that she was the last person to see her neighbor alive. Fending off medication for her bipolar condition to keep her mind sharp, Dana tries to piece together the events leading to her neighbor’s death, all the time wondering if there is a murderer lurking inside her. 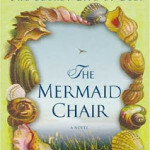 Susan’s main point-of-view character is a woman who has been shaped by her own perceptions of herself and the world around her, tainted by a lifelong struggle with mental illness. Readers are immediately drawn into Dana’s complicated inner life, as someone with secrets and regrets — a wife who feels invisible next to her flamboyant lawyer husband, a lost mother who longs for the presence of their only child, now in college. Readers begin to feel her hysteria…is she being stalked or is she crazy? Could she –in a drunken fit of rage – have clubbed her neighbor to death? I followed the unfolding drama – and like any avid reader of a good book – had a hard time putting the story down the further into the book I went. The other point-of-view character is a veteran detective going through his own marital crisis as he tries to uncover the mystery. An ambitious up-and-coming assistant district attorney pressures him to close the case fast, as he fights his growing attraction for the crime’s prime suspect, whose bizarre behavior paints her as the likely culprit. I recommend everyone pre-order this novel, which is a great who-done-it with an unorthodox lead character who is as flawed and as complicated as they come. 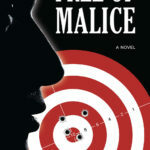 The characters are vivid and raw; the writing and pacing strong. There is very little that I didn’t like about this debut novel, though I have to admit I figured out who did it before the climactic ending (an annoying tendency I have when watching movies, too). The Pocket Wife will be generally released this March, and I believe it’s got a great shot at being optioned for the Big Screen. I can easily envision Julianne Moore in the lead. 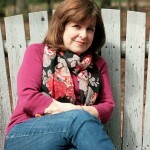 Before I conclude this post, I asked Susan to explain a little bit about her writing process and what surprised her most about her characters’ journey. I hope this additional commentary proves helpful to readers as they decide whether to make The Pocket Wife a must-read novel for 2015. Q. How did you come up with the title? Susan: The way I came up with The Pocket Wife’s title is kind of funny. I called my workaholic husband, who was at work of course, about something fairly important. “I can’t talk right now,” he whispered in this annoying, urgent voice. “I’ll just – I’m gonna stick you in my pocket for a second,” and he did. All I could hear was the rustling sounds of his pocket insides so I hung up and tossed my cellphone back into my purse. “I’m nothing but a pocket wife,” I snarled, and then I thought. Hey. Wait. The Pocket Wife! And that became the title. Q. How were you able to create such a believable main character struggling with bipolar disorder? Did you draw on your own life experience? Susan: To a large extent I did draw on my own life experiences when it came to understanding Dana and presenting her to readers. I think all of us have moments when we teeter, when we feel on the brink, when we feel hopeless. Dana just goes a little farther over the line. She becomes unable to function, which was, at least at one point, the definition of insanity. I have been close to people in my life that were bipolar, and that helped me to get inside Dana’s head to a degree. I have always found psychology fascinating – what makes people think and act as they do – that fine line between genius and insanity. Q. Did the book’s characters – who seem so real – take on a life of their own in your imagination during the writing phase of this novel? What surprised you most about them? Susan: Yes. The characters did take on a life of their own as I was writing the book. They always do. I could see them very clearly and see the world from their perspectives – what their living rooms looked like or their offices, what annoyed them or what made them tick. In fact, if I try to define my characters ahead of time it limits them in a way. It makes them stilted. It confines them to my idea of who they are or who they should be. What surprises me with characters is that they have a big part in how the story plays out, what direction it takes, because if they are real enough, they will do certain things and not others. They play off each other in particular unique ways because of their personalities or proclivities. When I was writing The Pocket Wife I was a little surprised to find that all the characters could justify their behavior. No matter how bizarre or wrong their actions appeared to be, they all had rational (or rationalized) reasons for doing what they did. Q. 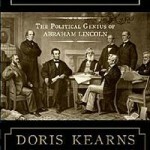 What is your favorite excerpt or paragraph in this book? I found certain passages took my breath away in terms of their literary quality. She didn’t marry the Poet because she couldn’t slow herself down. Lying beside him on the dingy mattress in that place with the broken wall, she couldn’t relax. Night after night, she lay awake, watching the rise and falling of his hairy chest, the shadows underneath his eyes, the neon light from a liquor store across the alley blinking at the sky. Like a signal, she’d told him, like a warning, and the Poet laughed. “Have a toke,” he said. “It’ll relax you. It will help you sleep,” and the poet stuffed his Chinese pipe with small soft lumps of hash. It didn’t make her sleep, though. Nothing did. Every week she slept less, walking through the downtown streets with the Poet, arm in arm, until late into the night, until his eyes were closing and he fell asleep exhausted on the mattress, leaving her to pace and write. Her classes flew by in a confusion of voices and raised hands – of papers written in the middle of the night, so brilliant, so esoteric. I think I’m channeling God, she told the Poet, her body nothing more than flesh on bones. He tells me what to say. But they didn’t understand – her professors, the other students. Only her dark poet understood, and finally not even he could catch the words that tumbled from her brain onto the page in tiny, oddly-slanted script that even she could barely read. The night he came home and found her on the roof, squatting at the edge in nothing but a slip – the night she said Jesus told her she could fly, the night she floated hundreds of hand-written pages into the winter sky over Avenue D, he’d driven her to Bellevue in a borrowed car. 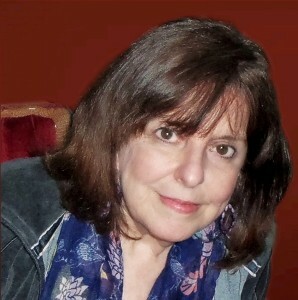 To learn more about The Pocket Wife or Susan’s other writing projects, visit her author page at: http://www.susancrawfordnovelist.com/. This entry was posted in Author Interviews, Book Reviews and tagged bipolar disorder, book review, mental illness, murder, psychological thriller, Susan Crawford, The Pocket Wife on December 14, 2014 by AnneWainscott.